Design Dichotomy: Welcome To The Loft. 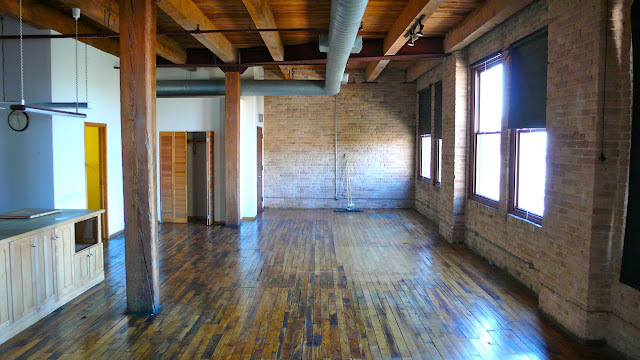 2 months of searching and dozens of apartments behind us, we've signed a lease on a converted factory brick loft in Chicago's West Loop. The space has never been lived in and it shows. 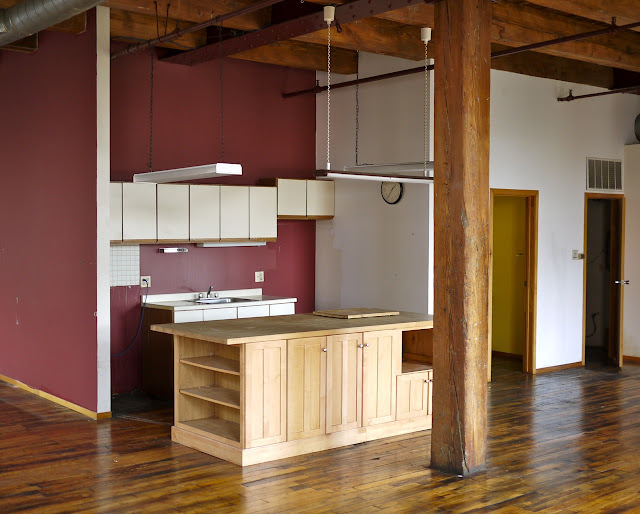 Using Joan's Master's Degree in Interior Architecture as a bargaining chip, we negotiated a budget from the management to remodel the loft into a desirable living space. 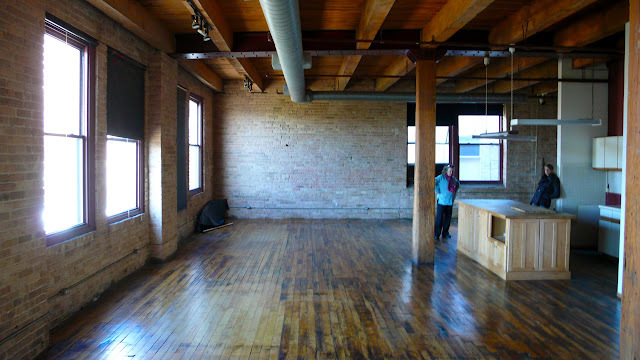 Looking at the space, we see we have some work ahead of us. Each of us has moved EVERY YEAR since coming to the city and we're effing tired of it. We're staying here, sink or swim. That enormous kitchen island? Going bye bye. Enormous Western facing windows. Indoor tanning anyone? What a tasty delight this kitchen is... not. It has to go. And yes, that bathroom is yellow. As you can see, aside from the vast open space, it's not much to look at. 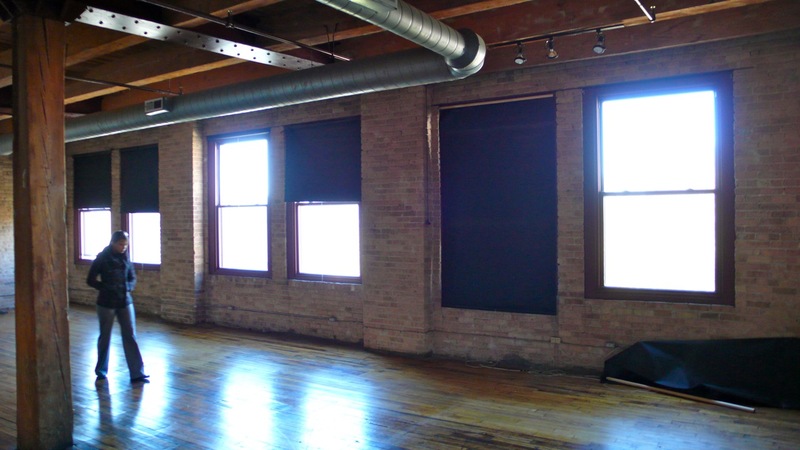 1,275 square feet of pure converted factory potential. We know it's ugly, but we have big plans. Our lease includes a budget to remodel the kitchen and bathroom, install washer/dryer hookups, build a bedroom and closet, and make the space not only livable, but rentable in the future. The fun (read: challenging) part of it will be making something great out of a very measly budget.